Which of the following do you think can be considered "art"? This statistic illustrates responses to a survey about media types that might be considered art in Great Britain. 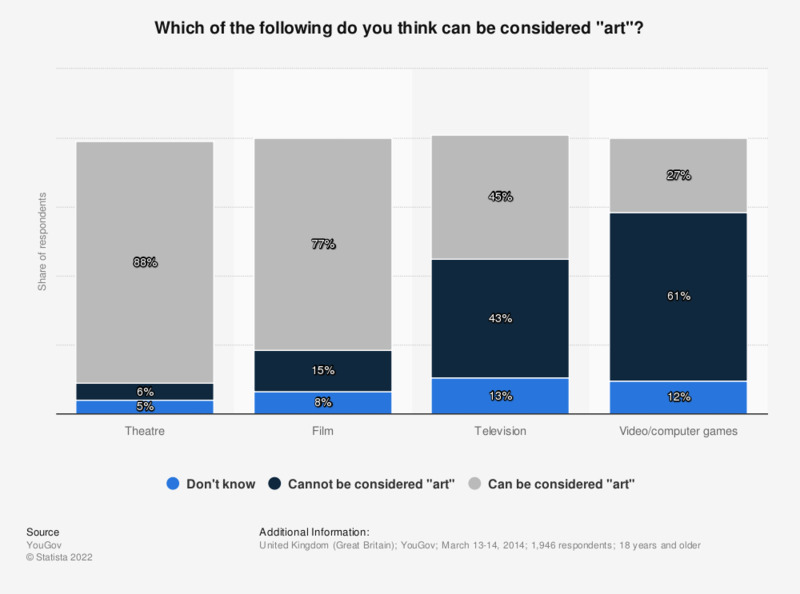 45 percent of respondents reported thinking that telelvision was a media type that can be considered "art". Type of survey not specified. Statistics on "Art market in the United Kingdom (UK) "